Mountain climbing! Off-road biking! Skiing! Climbing trees! All of these activities are simply too extreme for your current smartphone, or so Cat (nee Caterpillar, the bulldozer people) would have you believe. Their latest Android-powered rugged phone is the S50, announced today at IFA in Berlin and boasting mid-range specs with a body that looks like it's designed to shrug off shrapnel. 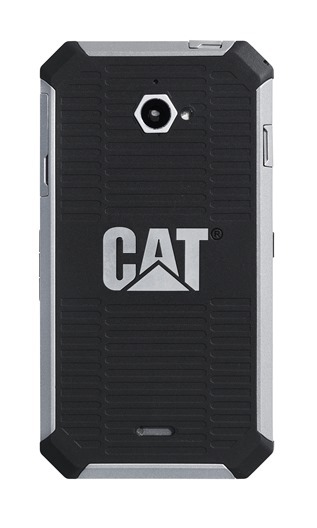 It's the follow-up to Cat's B15, a phone durable enough to survive an encounter with a front-end loader. The S50 improves on the predecessor in every way, with a bigger 4.7" Gorilla Glass 3 screen (resolution unknown), a quad-core 1.2Ghz processor, an 8MP rear camera, 8GB of storage plus a MicroSD card slot, an LTE radio, and KitKat from the get-go. The redesigned phone isn't exactly slim, but it does seem thinner than the previous version (though that may simply be the larger screen) and it includes front-facing speakers and virtual navigation buttons that should work even when the screen is wet. The lack of synthetic sapphire glass is a little disappointing, since Kyocera is already including it in their rugged phones. Look at those exposed screws! They're like the consumer electronics version of testicles. In addition to an Ingress Protection rating of 67 and MilSpec 810G for general ruggedness (check out this post to see what that means), Cat is also happy to talk about the S50's Waves-enabled speakers and the proprietary Cat App Store. That's a hand-picked collection of 1000 curated apps... which probably just link out to the Play Store, also included on the phone. Surprisingly, Cat is more than happy to talk about the price of the S50: it will launch off-contract in forest (green) and slate (grey) versions for $499 in the US and €479 in Europe. A precise launch date was not mentioned. 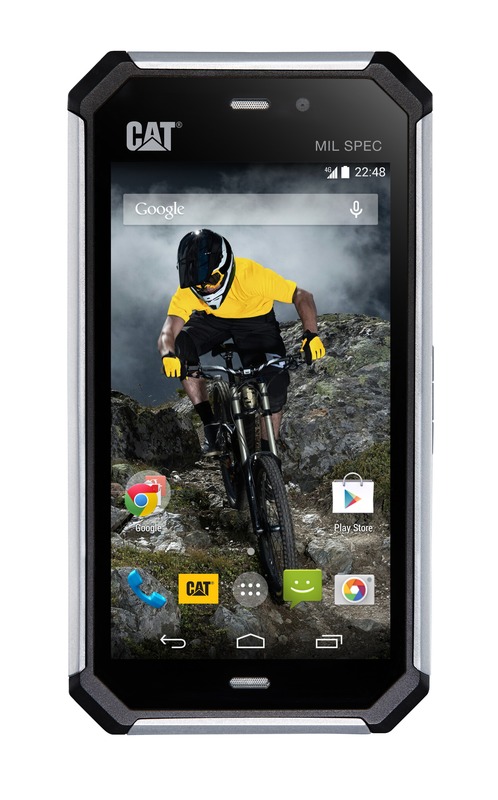 4th September 2014 — Cat Phones today announces the launch of the Cat® S50, a rugged, high-end 4G smartphone designed specifically to be used outdoors and in challenging environments, making it the perfect partner for extreme sports and outdoor working. The S50 is waterproof and the screen can be used even with wet fingers. It’s scratch-resistant, dustproof and can withstand more than just a few bumps and scrapes. It also has a quad core (1.2Ghz) processor running the latest version of Android (KitKat) with access to Google Play meaning there is no compromise between performance and protection. Whether it’s being used on the slopes, on a bike, up a mountain or on a building site, the S50 copes with anything that’s thrown at it. No matter if it’s wet, cold, dusty or dirty, nothing compromises the S50’s high-end smartphone performance…not even a drop onto concrete. The S50 is also the first Cat phone to be launched pre-loaded with the Cat Phones App Store of over 1000 hand picked apps. The curated collection - which includes both well known and widely used apps such as Skype and Endomondo to smaller niche but equally useful ones like CHECD - means Cat phone users don’t need to trawl through the 1.2 million apps on Google Play to find the one they want. The 1000 apps most relevant to their work and play are now one click away in the Cat Phones App Store. Complementing the durable design features, the S50 boasts performance enhancing audio technology for unparalleled sound performance developed by Waves, a recipient of a Technical GRAMMY Award®. This provides a better listening experience even outdoors, for everything from playing games, watching movies, listening to music or using online voice communication. 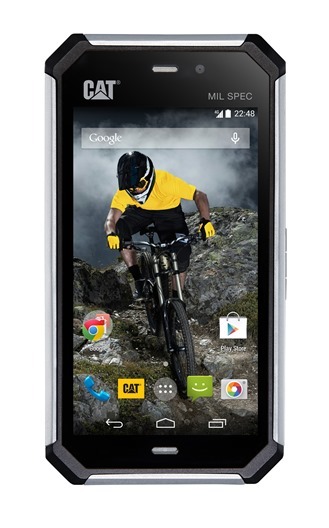 Following on from the best-selling Cat B15Q rugged handset, the S50 boasts a faster processor, bigger screen, improved standby-time and improved imaging and connectivity capabilities including an 8MP camera and 4G compatibility. It is available in a range of colours including Forest and Slate, each one encased in shock absorbent rubber and will be priced at 499 USD / 479 Euros. Attendees at IFA are invited to visit the Cat phones booth 109, Hall 4.2 for a hands on experience with the new S50 device ahead of it hitting the shops.